If you want to be able to keep an eye on your home, or a room in your home, while you're away, then you now have a range of affordable options. These systems are more than just a motion sensor and a siren – with live video streaming, night vision and environment monitoring all pretty standard, you can keep an eye on what’s happening both inside and outside your home from your mobile phone. There’s a huge bunch of these systems out there; ones that come with every single gadget you could ever think of and ones that offer up a couple of main features. Here are six options to consider. The Nest Cam does what it says on the tin. Using an HD 130 degree camera, it’ll keep an eye on your ‘nest’ and send footage back to your smart phone or device. With a motion sensor and a sound sensor, it’ll record any suspicious activity once either sensor’s been activated. There’s also a microphone and speaker system, which will allow you to talk to the person in the room – no good if you’re 10 miles away and they’re about to steal your home entertainment system but handy if you want to tell the kids to stop squabbling. If you know you’re on holiday for a couple of weeks, you can even set it to record up to 30 days’ footage - which also means you can make sure the neighbour is feeding that cat twice a day. 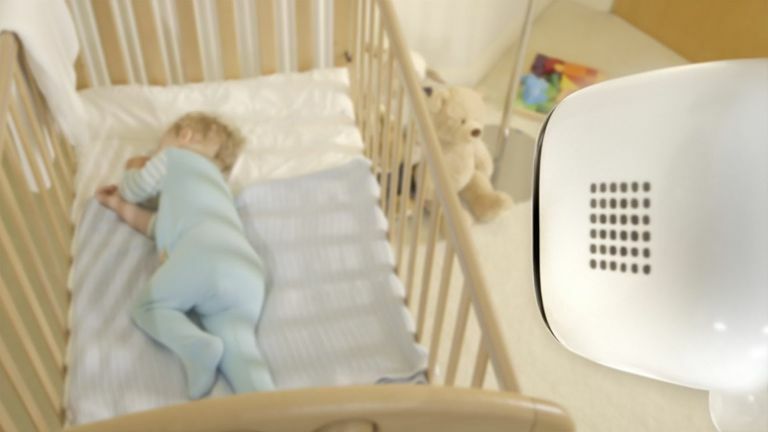 Keeping an eye on your house has never been easier – place this all-in-one system in your room of choice and it will monitor everything going on, even your air quality. You can stream the real-time video to your smart phone and if movement triggers the motion sensor, the device’s 147 degree camera will start recording so you’ll have evidence of any suspicious activity. Or you can just keep an eye on the dogs while you’re out. If you’re looking for an easy-to-set-up system that you can continue adding to once you’ve got the basics sorted, this system should tick the box. The standard equipment should be enough to start with, giving you the basis for a full home security system. The indoor camera is activated using a motion sensor, or the window and door sensor. Once activated, it’ll send you a warning to your device and start recording. If you’re worried about the sensitivity of the sensors, you can calibrate it so it doesn’t take notice of your pets. With the whole system under your belt, you can use the app to control your lights and stereos, plus the 300m connectivity range means you can hook up external cameras too. The downside is it’s a closed system, which means Panasonic products only. If you’re looking to go all out with building your own home security system, this one should do the trick. There’s everything you could ever need – from a range of sensors to trigger notifications to video recording any suspicious action. Control the system using the app and arrange for lights and appliances to turn on at certain times. Accessories come preloaded to the smart hub, so you can easily add to your system when you require. With the app linking to the Yale CCTV and home view cameras, you can keep a complete eye on your premises. There’s even a dummy siren, which acts as a deterrent to any potential burglar. When the basic kit is nearing on £150, you know this system isn't the cheapest, but for the convenience of being able to connect a range of systems, hooking it up to Alexa and being able to design your own smart home, splashing the cash should be worth it. For starters, you get a couple of sensors, the hub and a power outlet which will connect the system an appliance, such as a lamp. Team up with Alexa to get the whole smart home thing on the go, or even brands like Yale to ramp up the additional security. The Manything app transforms old phones or tablets into home security cameras, which can be viewed from anywhere through the Manything app or website. Simply download the app to your old phone and your current one, selecting one phone as ‘camera’ and one as ‘viewer’. Users can adjust camera sensitivity, add detection zones to mask areas they don’t want to monitor and set up email or push notification motion alerts. It's free to set up a spare device as a camera, watch its live feed and be alerted when motion is detected. Subscriptions start at £2.99/$3.99, which allow you to add more cameras and to watch recorded video which is saved to the cloud. Manything works with lots of old devices right back to the iPhone 3GS or iPad 2. The service also works with Android 4.2 and above and the app can be downloaded from the Apple App Store, Google Play Store and Amazon App Store.